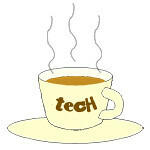 Pixel « Tech bytes for tea? The new Google Pixel 2 XL phablet in the tech4xmas 2017 gift list not just because it’s the latest, but mostly because it’s up there among the best, and whoever you’re giving this to as a X’mas present is going to be absolutely delighted. Available in Singapore from 15 November, 2017. Made by Google, the Pixel 2 XL ships with Google organic apps installed and most significantly, the phone will be the first in the market to receive Android updates from Google. Having tried out the phablet, it truly has a superb camera. The rear camera has a 12.2-megapixels sensor with f/1.8 lens while the front camera has 8 megapixels and a f/2.4 lens. Measuring 6.2 x 3 inches, the phablet comes in just black or black & white. In fact, it has the highest DxOMark of 98 for its camera performance – higher than all other smartphone cameras today – and it does it with a single lens! Photos turned out crisp and clear even in low light. The aluminum unibody of the Google Pixel 2 XL makes it water/dust resistant IP67 standards. That means the Pixel 2 XL – like the Apple iPhone X, iPhone 8 & 8 plus – can withstand immersion in water up to one meter for 30 minutes. It offers the popular Portrait Mode, boasting background blur if you keep the background relatively far behind the subject you’re shooting.